WE USE OUR TEETH all day, every day, for chewing, talking, and flashing big smiles at friends and family. 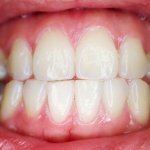 What are the structures that allow our teeth to do so much? Let’s take a look at what our teeth are made of. We need all of these components for our teeth to stay strong and healthy, which is why we should keep oral health and hygiene as a high priority. Regular dental appointments and good brushing and flossing habits are essential for taking care of the outside of our teeth, and good nutrition helps keep them strong from the inside out! Call us today to schedule your routine dental appointment to keep your teeth healthy. Thank you for being part of our Oak Ridge Dental Arts family!